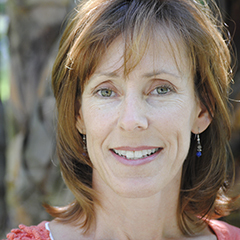 Leslie Helakoski is the author and sometimes illustrator of 12 picture books. Her newest additions are Ready Or Not, Woolbur Goes to School, and Hoot & Honk Just Can’t Sleep (Sterling). Leslie’s books are known for their humor and wordplay. Woolbur (HarperCollins) was nominated for book awards in 13 states, winning honors in Florida and Michigan. It was a Book Sense Hot Pick, a Gift of Literacy book in Oregon and a Great Lakes Book Award finalist. Big Chickens (Dutton Childrens Books) received starred reviews in SLJ and Kirkus, the Michigan Reads one state one book award, the Great Lakes Great Books Award and was nominated for awards in 5 states. Other titles include Big Chickens Fly the Coop, Big Chickens Go to Town, Fair Cow, Doggone Feet! Big Pigs and the upcoming Are Your Stars Like My Stars? Leslie also has been active in SCBWI (Society of Children’s Book Writers and Illustrators) for 18 years. She is one of the regional advisors in Michigan and enjoys sharing her love of books with other enthusiasts. See more about her books at www.helakoskibooks.com.